Worldstudio partnered with the WK Kellogg Foundation to build momentum around their 75th Anniversary. The goal was to provide young artists with a vehicle for self-expression and to instill the Kellogg philanthropic values of giving back to one’s community in young people. Over the course of the three-year project, seventy-five WKKF college scholarships in illustration were awarded with select recipients chosen to participate in a mentoring project with well-known illustrators. The mentor/mentee teams produced pages for a comic book on the subject of “superheroes” and what it means to give back to one’s community. Worldstudio developed the concept, designed, produced and managed all aspects of the program over the life of the project. Student Marcello Gallegos meets with illustrator Peter Kuper. Other notable mentors included R.O. Blechman, Josh Gosfield and Ward Sutton. 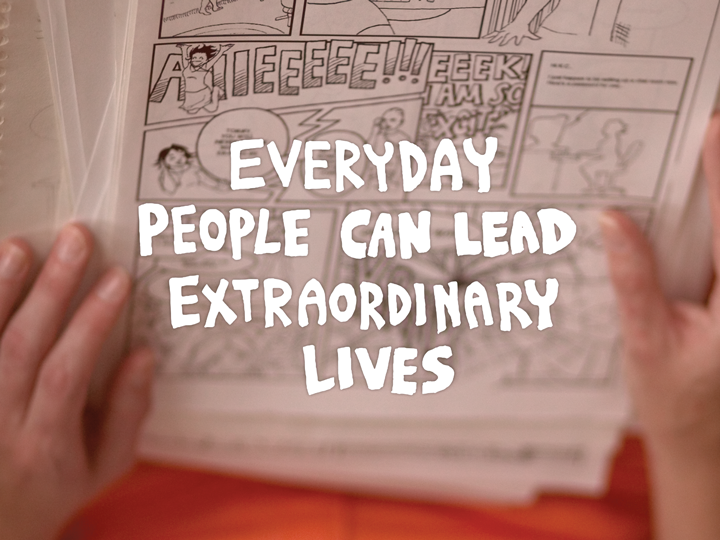 Twelve of the seventy-five award winners were selected to work with their mentors to create a comic book story that inspires young people to give back to their communities. 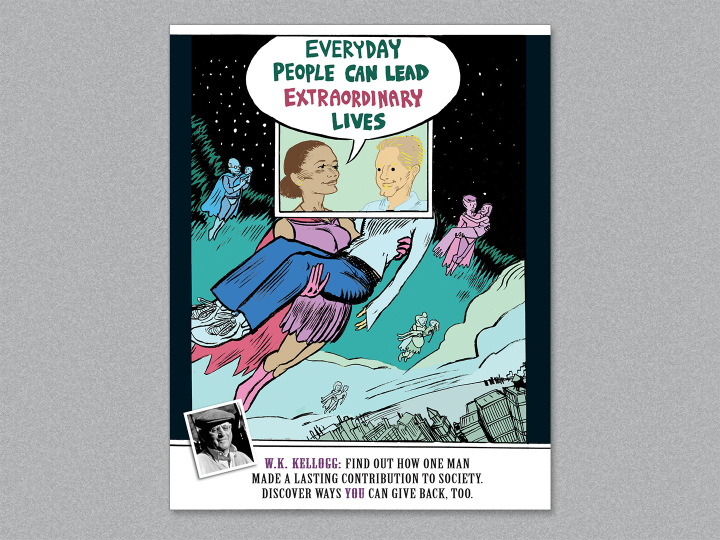 100,000 copies of the 109-page, oversized comic book were distributed to middle and high schools across the country in honor of Kellogg’s 75th anniversary. 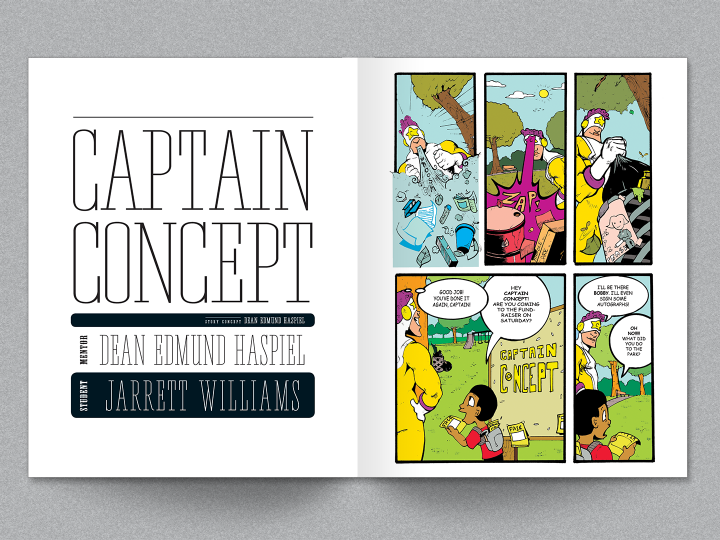 A story by Jarrett Williams, working with mentor Dean Edmund Haspiel, an artist for DC, Marvel and Dark Horse comics. 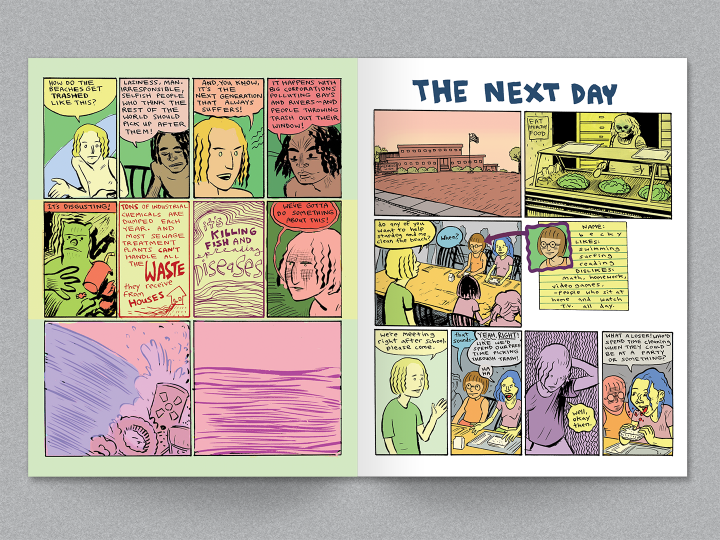 A spread by Dash Shaw, working with mentor Alex Bostic. 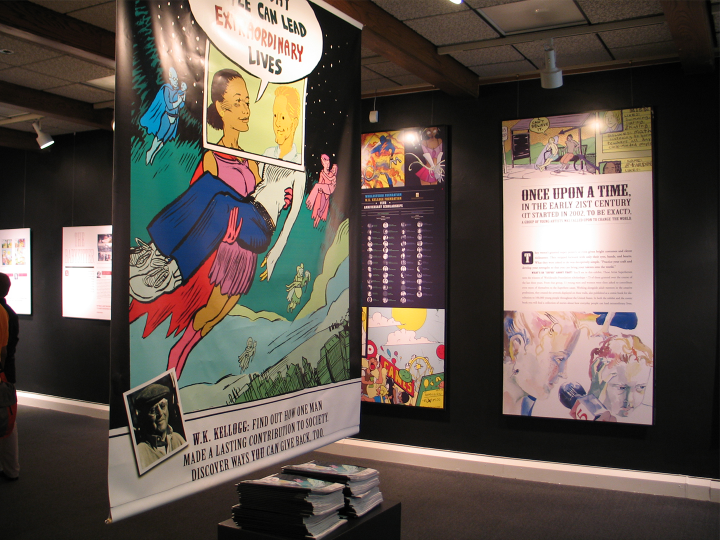 Dash is now an established comic book artist and has published several acclaimed graphic novels through Fantagraphics. 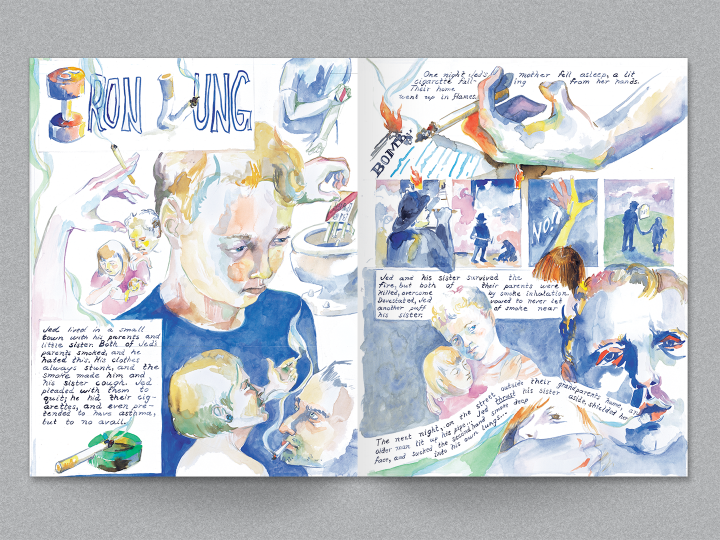 A comic executed in watercolor by Melissa Rioux, working with mentor Robert Shetterly. 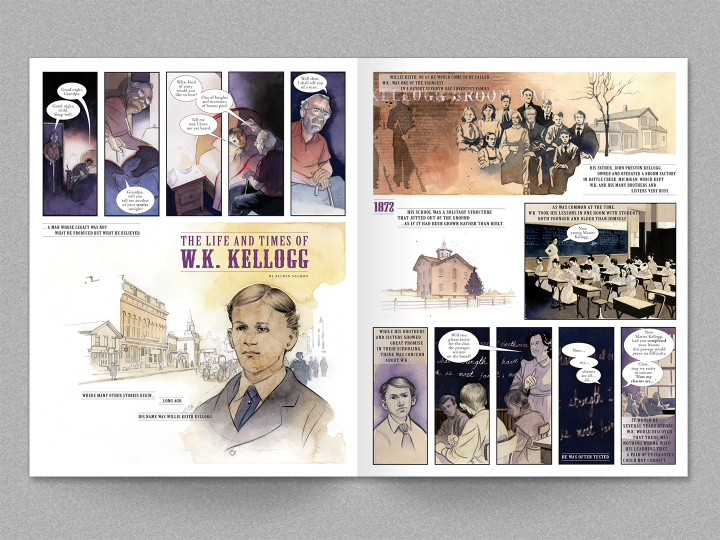 Reuben Negron illustrated the story of the life and times of Willie Keith (W.K.) Kellogg working with mentor Stephanie Garcia. Twenty suggestions for how young people can take the initiative to improve their local communities. 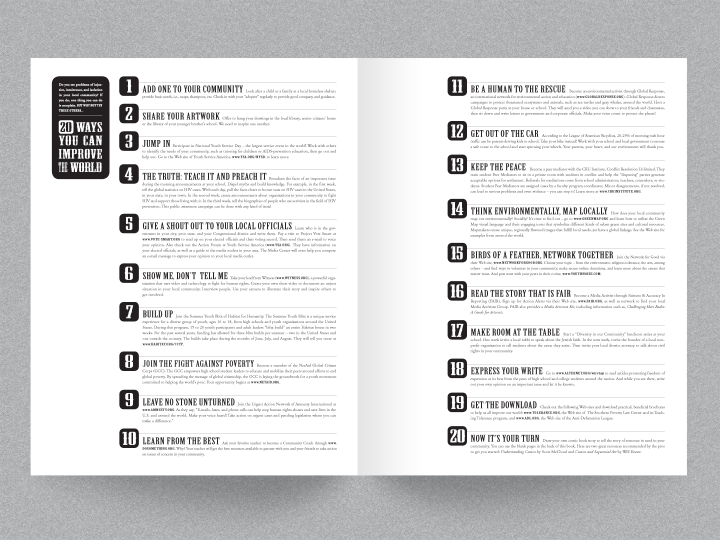 Blank pages in the back of the book encourage students to tell their own stories. Worldstudio designed and produced an exhibition about the project, on display during the 75th Anniversary festivities in Battle Creek, Michigan.